Star midfielder Arturo Vidal's alleged DUI and ensuing sense of entitlement have not hampered his standing with Chile's national team at the Copa America it is hosting. SANTIAGO, Chile – The audio footage is clear. “Are you going to handcuff me?” Arturo Vidal asked. “Don’t make this harder for yourself,” said the policeman who was trying to arrest him on suspicion of driving under the influence after the Chile star crashed his red Ferrari on his way back from a casino to the national side’s training base Tuesday night. It may not make for entirely comfortable listening, suggesting a disturbing level of entitlement, but the attitude seems to have prevailed even though Vidal is theoretically facing a jail sentence. Vidal, who is also alleged to have struck a police sergeant in the chest, will still face a charge of drunken driving, but the coach Jorge Sampaoli, playing down the incident, insisted he will not be expelled from the squad, and, whatever the morality of that, it’s a decision that keeps alive host Chile’s hopes of winning the Copa America for the first time in the tournament’s 99-year history. Chile needs a draw to guarantee itself a place in the last eight and a win to be sure of topping its group and so securing a–theoretically–easier match against one of the third-place qualifiers. Finishing second would mean a game against the runner-up in Group C, the group featuring Brazil and Colombia. Not everybody is happy with the expediency. Former Chile forward Leonardo Veliz, for instance, was scathing. This has been a patchy start to the tournament from Chile. Four points from games against Ecuador and Mexico had showcased defensive frailties but also glimmers of an extreme attacking flair, most effectively enacted by Vidal. Of Chile’s five goals in the tournament so far, two have come from penalties: Vidal was fouled for both and he converted both. Of the other two goals against Mexico, one was a Vidal header, the other was a header from Eduardo Vargas as he met a Vidal cross. Vidal, without much doubt, has been the outstanding player of the tournament so far. The day after the arrest, he was more contrite. “I let everyone down,” he said, tearfully. It may be that the incident serves to stiffen resolve, to bring the side more together. It’s not an uncommon trope at major tournaments for a team to benefit from a sense it needs to close ranks: look at Italy in 2006, winning the World Cup against a background of match-fixing; or at England who produced its best World Cup performance in half a century at Italia 90 after a collapse in its players relations with the media; or France who reached the World Cup semifinal in 1982 after claims that the midfielder Jean-Francois Larios was having an affair with the wife of his captain, Michel Platini. Nonetheless, it has to be asked exactly what he was doing after being given half a day off during what is arguably the most important tournament in Chile’s history, certainly the one it has the greatest chance of winning. WILSON: Where does struggling Falcao fit in with Colombia? "It's very serious to let this happen right in the middle of the Copa América," Jose Sulantay, who coached Vidal at Under-20 level, told CNN Chile. "This kind of stuff doesn't happen [when they're playing] in Europe. I don't understand Jorge Sampaoli and I don't understand Vidal." 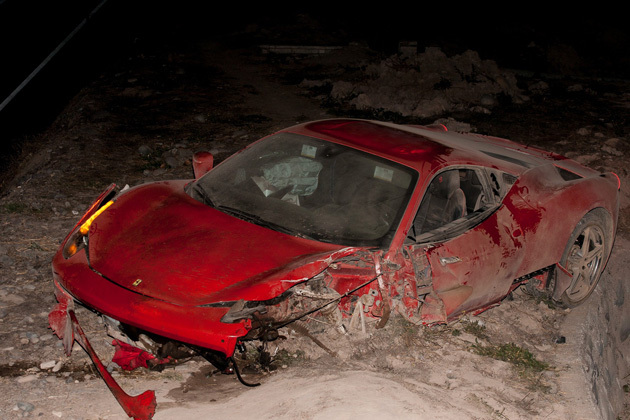 There are a thousand things Vidal could have done in Santiago on his day off, but he went to a casino and smashed up his Ferrari on the way home. If it had been a less important player to Chile, you suspect Sampaoli might have been less forgiving. The sense on Thursday was of a team rallying behind one of its stars despite the seriousness of the alleged offense.